Have you considered making the move into an assisted living facility or suggested this move for a loved one? It can often be difficult for prospective residents and their families to make this decision, but unfortunately, not because they’re unsure whether or not the move itself is right but because some common myths and misconceptions may be stopping them. See below for some of the most common myths about assisted living, and ask yourself if any of these are the source of your apprehension. 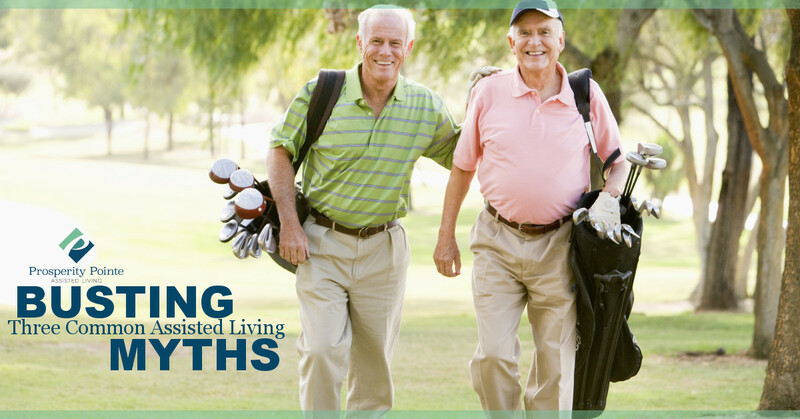 We hope you won’t let these myths keep you from seeking the assisted living services you or your loved one needs. Below are three of the most common misconceptions about assisted living facilities. If you or your loved one is nervous about the move because of any of the following reasons, we hope the information provided helps to ease some of those nerves. If you have questions or further concerns, please don’t hesitate to contact the assisted living professionals at Prosperity Pointe. Making the move from a single family home into a resident community can cause anyone to be at least somewhat concerned about privacy whether we’re talking about the college freshman or an aging senior who is looking for suitable assisted living. 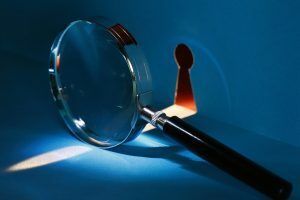 The discomfort is justifiable; after all, it stands to reason that privacy may become more difficult to come by when living under the same roof with many other people. Luckily, assisted living facilities are designed to provide each of their residents with a private living space, usually in the form of a small apartment or suite. For example, if you decide to join our 54-bed community here at Prosperity Pointe, you’ll enjoy the privacy of your own room and bathroom, so there will be no need to worry about a lack of personal privacy. 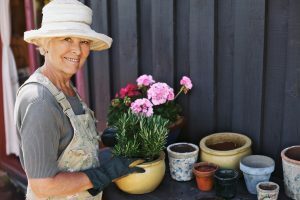 It’s important to realize as you age that you will probably need to depend increasingly on others as you lose the ability to do things for yourself, but this is not the goal of assisted living. Proper care provided by an assisted living facility goes further than simply ensuring the residents’ needs are met. Instead, assisted living should ensure that residents thrive, which means encouraging individuality, activity, and socialization in order to ensure each resident enjoys his or her independence for as long as possible. At Prosperity Pointe Assisted Living, we offer a wide range of amenities and activities to ensure our residents truly prosper. Many assume that assisted living is not an option for them simply because it is too expensive. It is true that there are many costs related to the move to assisted living, but be sure you crunch the numbers before deciding you can’t afford it. Often, people fail to consider the expenses they’ll no longer be responsible for, such as taxes, mortgage payments, homeowner’s insurance, utility bills, or even groceries. 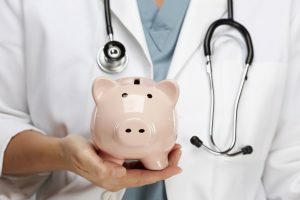 You’ll also want to figure in the costs of receiving services such as medical care or memory care at home; it may be more affordable in the long run to let an assisted living facility provide these services. We hope the above information helps to put you at ease if you or your loved one is facing the move to an assisted living facility. We understand that this transition is not always an easy one, but don’t let common misconceptions stop you from seeking the care you or your loved one needs. Ready to check out some assisted living facilities? Contact us using the buttons below to schedule your tour of Prosperity Pointe.